As the world's population rises, scientists want to edit the genes of potatoes and wheat to help them fight plant diseases that cause famine. By 2040, there will be 9 billion people in the world. "That's like adding another China onto today's global population," said Professor Sophien Kamoun of the Sainsbury Laboratory in Norwich, UK. Prof. Kamoun is one of a growing number of food scientists trying to figure out how to feed the world. As an expert in plant pathogens such as Phytophthora infestans – the fungus-like microbe responsible for potato blight – he wants to make crops more resistant to disease. Potato blight sparked the Irish famine in the 19th century, causing a million people to starve to death and another million migrants to flee. European farmers now keep the fungus in check by using pesticides. However, in regions without access to chemical sprays, it continues to wipe out enough potatoes to feed hundreds of millions of people every year. "Potato blight is still a problem," said Prof. Kamoun. "In Europe, we use 12 chemical sprays per season to manage the pathogen that causes blight, but other parts of the world cannot afford this." Plants try to fight off the pathogens that cause disease but these are continuously changing to evade detection by the plant's immune system. In nature, every time a plant gets a little better at fighting off infection, pathogens adapt to evade their defences. Now biologists are getting involved in the fight. 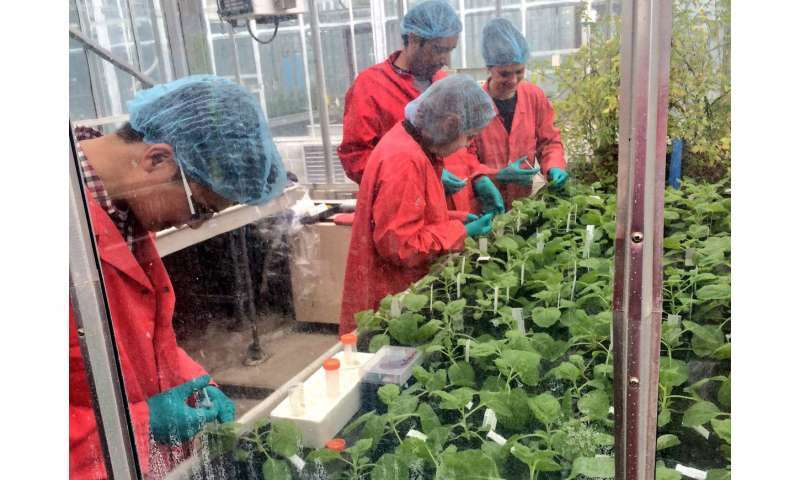 "It's essentially an arms race between plants and pathogens," said Prof. Kamoun. "We want to turn it into an arms race between biotechnologists and pathogens by generating new defences in the lab." Five years ago, Prof. Kamoun embarked on a project called NGRB, funded by the EU's European Research Council. The plan was to find a way to make potatoes more resistant to infection using advanced plant-breeding techniques. Then serendipity struck. In the early stages of the project, scientists in another lab discovered a ground-breaking gene-editing technique known as CRISPR-Cas which allows scientists to delete or add genes at will. As well as having potential medical applications in humans, this powerful tool is unlocking new approaches to perfecting plants. "If we think of the genome as text, CRISPR is a word processor that allows us to change just a letter or two," explained Prof. Kamoun. "The precision that this allows makes CRISPR the ultimate in genetic editing. It's really beautiful." One of the simplest ways to use CRISPR to improve plants is to remove a gene that makes them vulnerable to infection. This alone can make potatoes more resilient, helping to meet the world's growing demand for food. The resulting crop looks and tastes just the same as any other potato. Prof. Kamoun says that potatoes which are missing a gene or two should not be viewed in the same way as genetically modified foods which sometimes contain genes introduced from another species. "It's a very important technical difference but not all regulators have updated their rules to make this distinction." Potatoes are not the only food crops that can be improved by CRISPR-Cas. 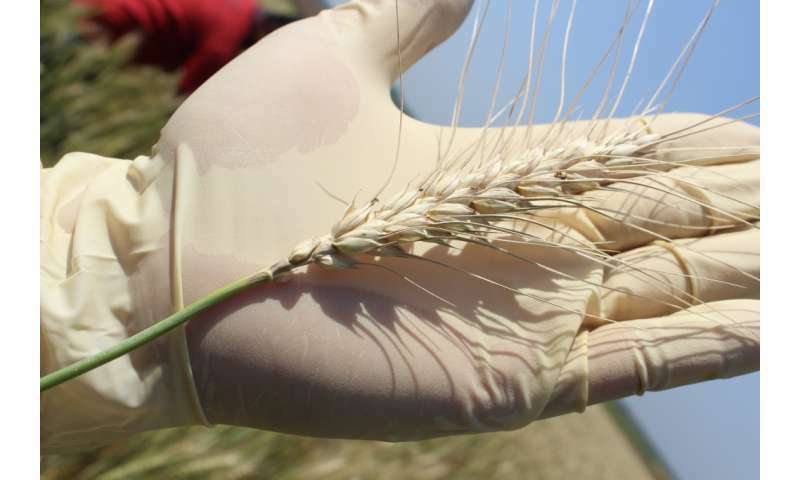 Prof. Kamoun is now working on a project that aims to protect wheat from wheat blast – a fungal disease decimating yields in Bangladesh and spreading in Asia. Looking ahead, CRISPR will be used to improve the quality and nutritional value of wheat, rice, potatoes and vegetables. It could even be used to remove genes that cause allergic reactions in people with tomato or wheat intolerance. "If we can remove allergens, consumers may soon see hypoallergenic tomatoes on supermarket shelves," Prof. Kamoun said. "It's a very exciting technology." While targeting disease in this way could be a game changer for global food security in the years ahead, experts believe other approaches to plant breeding will continue to have a role. Understanding meiosis – a type of cell division that can reshuffle genes to improve plants – can help farmers and the agribusiness sector select for hardier crops, according to Professor Chris Franklin of the University of Birmingham, UK. He leads the COMREC project, which trains young scientists to understand and manipulate meiosis in plants. The project applies the wealth of knowledge generated by leaders in the field to tackle the pressing problem of feeding a hungry world. "COMREC has begun to translate fundamental research into (applications in) key crop species such as cereals, brassicas and tomato," said Prof. Franklin. "Close links with plant-breeding companies have provided important insight into the specific challenges confronted by the breeders." There may be untapped potential in this approach to plant breeding: most of the genes naturally reshuffled during meiosis in cereal crops are at the far ends of chromosomes – genes in the middle of chromosomes are rarely reshuffled, limiting the scope for new crop variations. COMREC's academic and industry partners hope to understand why this is so that they can find a way to shuffle the genes in the middle of chromosomes too. And the food industry is keen to produce new 'elite varieties' that are better adapted to confront the challenges arising from climate change, says Prof. Franklin. "A number of genes have now been identified that can make this reshuffling relatively more frequent," he said. "CRISPR-Cas provides a way to modify the corresponding genes in crop species, helping to translate this basic research to target crops."